The IGNOU (Indira Gandhi National Open University) that was formed during the year 1985 is known for providing various under graduate, post graduate and other programmes that re related to the field of Commerce, Arts & Science and much more. The IGNOU releases their admission list every academic year and the IGNOU Admission 2018 has been officially released too. The IGNOU Admission Procedure can be completed through online and offline modes. Getting an admission in IGNOU is an easy process, and moreover any candidate who is said to be living within India can apply for their desired courses online and study them at the IGNOU centres that are located nearby their place. 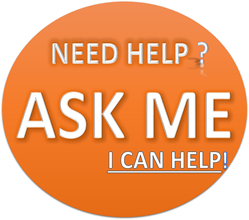 One needs to fill up the application form either online or by visiting their nearby IGNOU centres. Every application form has its own application fee that has been rated based upon the course the aspirant is about to appear for. If you are registering for a course through offline mode, then you need to bring over a demand draft representing IGNOU with the desired application fee. While submitting your application form, you can easily transfer the application fee through internet banking, debit card or by using your credit card. Take a print out of them after submitting the application form successfully with IGNOU. In order to find out the eligible candidates to study under them, the IGNOU conducts their entrance test every academic year. The IGNOU Admission dates shall be released once the entrance tests are conducted and the results for the same are released. Candidates who are about to appear for PhD course in life sciences, physics and in biochemistry shall need not write any kind of entrance examination, and their eligibility criteria shall be done based upon the rank and marks which they have scored in the previous degrees. 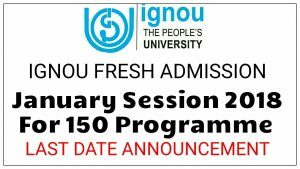 The IGNOU January 2018 Admission is at present happening for both MPhil and PhD courses that are offered under various subjects. Under Master’s degree both MA and MCom courses are offered to the eligible candidates. Also there are various graduate degree programme, PG Diploma and Bachelor Preparator Program admission now taking place in IGNOU. Candidates who are looking forward to pursue certificate related course shall apply for the same with IGNOU. The complete IGNOU courses list for which the admission have started are mentioned on their official web portal.